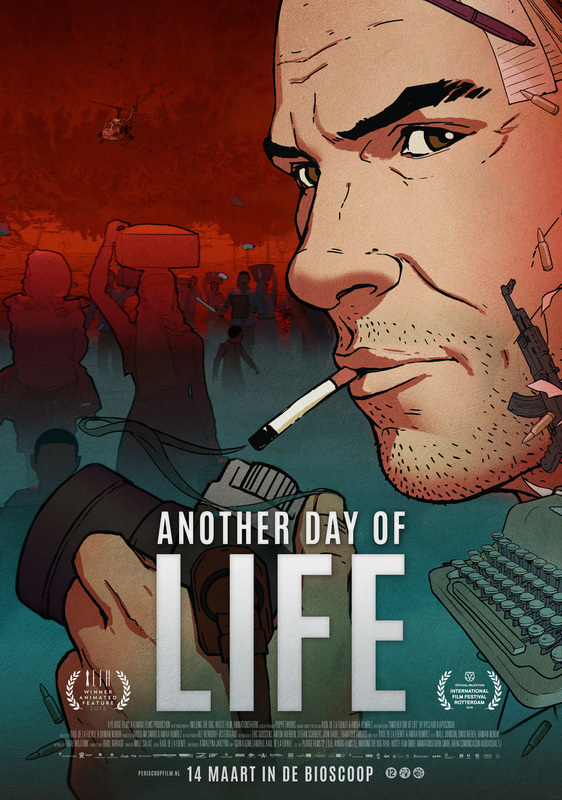 Another Day of Life is a gripping story of a three-month-long trip that renowned reporter Ryszard Kapuściński took across Angola ravaged by a war in which the front lines shifted like a kaleidoscope from one day to the next. Warsaw, 1975. Kapuscinski (43) is a brilliant veteran journalist, an idealist and a friend of lost causes and revolutions. At the Polish Press Agency, he convinces his boss to send him to Angola where a bloody civil war has broken out on the eve of the country’s independence. He embarks on a seemingly suicidal road trip into the heart of the civil war. There, he witnesses once again the dirty reality of war and discovers a sense of helplessness previously unknown to him. Angola will change him forever: it was a reporter that left Poland, but it was a writer that returned.